Which is worse: having a kale-themed lunch with the NOG (New Ownership Group) or visiting Dr. James Andrews? While I would say the former, most baseball players would dread heading down to Alabama to see the good doctor. 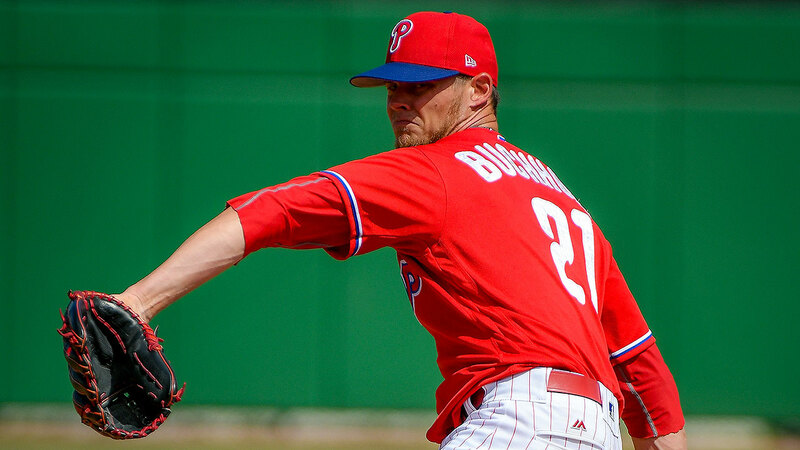 Clay Buchholz is making such a journey—to get a second opinion on the partial tear of his right flexor pronator mass (we are really tempted to follow with the old joke, "you're ugly, too", but we won't). Anyway, while it's apparently not a Tommy John-type conversation, it could very well land Clay on the disabled list for a long time. His recent outing (2.1 IP, 8 H, 6 ER) pushed his season ERA to 12.27—probably not what the Phillies were bargaining for. Stay tuned!